sales videos that will boost your marketing campaign. Do you still spend your time looking for a video maker to edit and customize your sales video project? Here Animiz animated promotion video maker is the solution to your problem. Everything about the video designing will be very easy and simple with this service. There is an unlimited canvas which allows you to customize your stylish sales video art work by dragging and dropping. Just use this free video maker to express all your creative ideas freely. 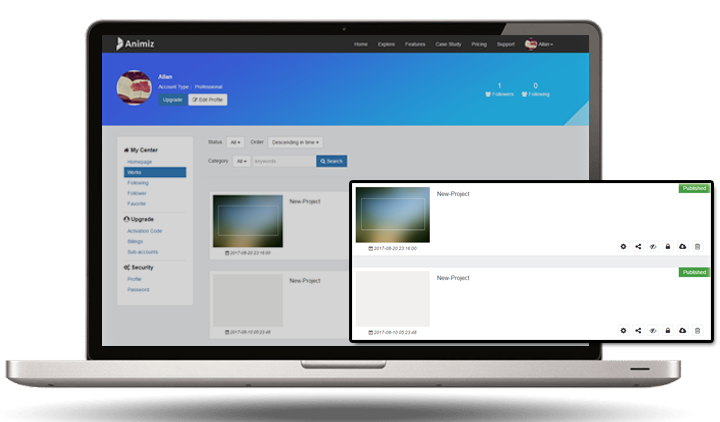 With Animiz, you don't need to worry about where should you find a stunning template and how cloud you get much more materials for a rich content decoration. There are numerous online templates for quick start of your video creation. And wonderful preset scene templates even give you more chances to build up any scenes fit to your topic in the design process. 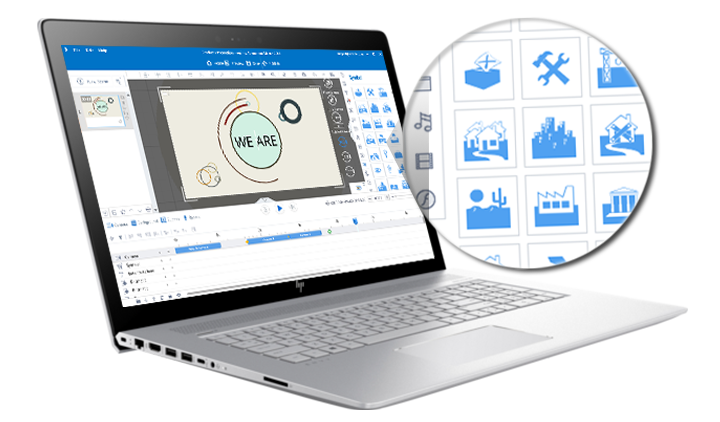 Besides, you have the ability to add and customize more assets to improve a fabulous animated sales video like shapes, SVG images, dynamic roles, audios, videos and flashes. Music will help to create an easy atmosphere and please your audiences effectively. In the Animiz video maker, you are capable of add sound to the scene or set background music to the whole video project. The perfect combination of music and video scenes can really bring an enjoyable visual experience to your audience. In addition, you are allowed to create audio with record editor in any scene by yourself. 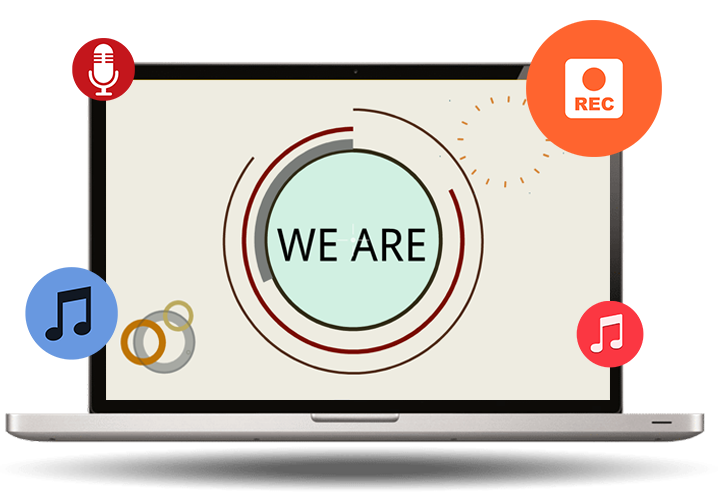 Animiz provides all designers with a powerful and flexible online platform to store and share their videos with ease. So, you can publish all your generated sales videos to the cloud platform to make them expose to more people online. It is very perfect for a great business promotion. What's more, you are able to make a further video setting about the title, description and keywords, share or download the video on Animiz online platform as you wish. Use different types of assets to decorate the your video content. Add music to video create an easy atmosphere and please your audiences.